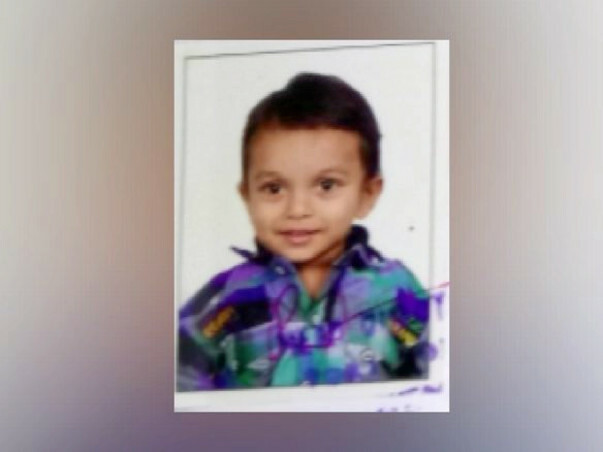 Ajmal - another child and the only child born to Nazeer and his wife who hail from Palaghat, Kerala. After a joyful 9months of his birth, he came down with a high fever which the doctors informed, much to the dread of the parents, was that his kidneys had failed. Dialysis was started immediately and has been going on for the last 6years of his life. Ajmal is a fighter and he has fought this battle through until now. Naseer and family have moved since then to Chennai for better medical facilities. Naseer does odd jobs and somehow has managed all these years. He is unable to take a regular job for want of Ajmal's hospital needs. 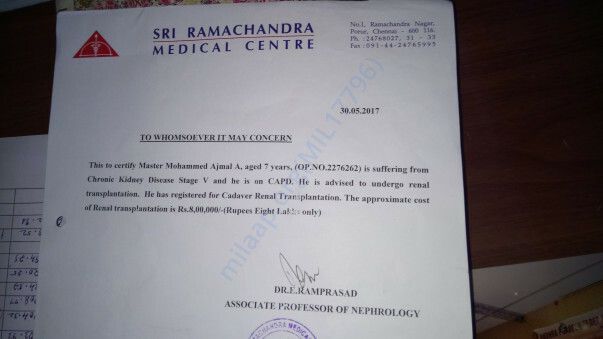 Now the doctors say Ajmal needs kidney transplant if he has to live and they need 10lacs(surgery , hospital stay, medicines, follow ups) for the transplant. Parents don't have the money but they love their son and want to see him live a normal life. 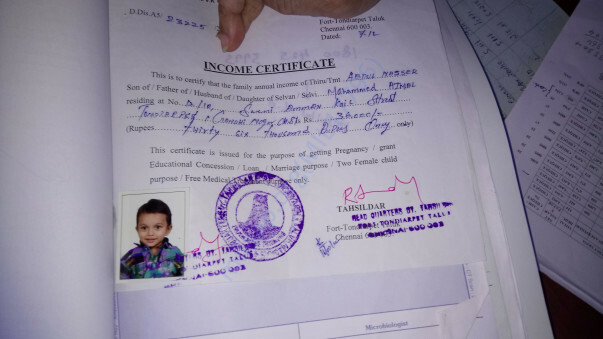 Request you to see the hearts cry of these parents and be generous with your help. May God bless you! Ajmal is right now on wait list & he is at No.2 for cadaver transplant and No.1 among children for transplant. Anytime he will be called for transplant but without funds, there are possibilities it can move away, so let's help this child!